Louetta (Bynes) Van Meekeren, age 71, of Sheldon, Iowa, passed away on Thursday, March 31, 2016 at Sanford Sheldon Medical Center in Sheldon. Funeral Services will be Monday, April 4, 2016 at 10:30 A.M. at the First Christian Reformed Church in Sheldon, Iowa. Rev. Luke Wynja officiating. Visitation will be Sunday, April 3, from 2:00 to 6:00 P.M. with the family present from 2:00 to 4:00 P.M. at the Andringa Funeral Home Sheldon Funeral Service in Sheldon. Dorothy Nasers, age 93, died on Saturday, March 26, 2016, at the Sunset Hospice Cottage in Worthington, Minnesota. Funeral services will be held on Saturday, April 2, 2016, at 10:30 a.m., at St. Mary’s Catholic Church in Worthington, with Father James Callahan officiating. Burial will be in the St. Andrews Catholic Cemetery in Sibley, Iowa. Visitation will be held on Saturday, April 2, 2016, from 9:00 a.m. to 10:30 a.m., at St. Mary’s Catholic Church in Worthington. Benson Funeral Home in Worthington is in charge of the arrangements for 93-year old Dorothy Nasers. Water temperatures are in the mid-40s. Expect good walleye fishing near shore this weekend and next week as water temperatures continue to climb and walleye exhibit spawning behavior. Try areas near shore that contain sand, rocks, and/or gravel substrate. Docks are in at MacIntosh State Park and Lynne Lorenzen ramp. Walleye – Fair: The bite has been slow this week for wader fisherman near the outlet on the east side of the lake. An occasional walleye has been taken near the Ventura grade. Channel Catfish – Good: Catfish action has been good this past week. Use cut bait, worms or minnows near inlets and windblown shorelines in the early season. The water is still very clear in the shallows, so fish a little deeper, on calm days. Bluegill – Fair: A few bluegills have been caught in the canals. Use small ice jigs under a bobber or add a split shot or two and vertical jig near structure. Muskellunge – No Report: Target shallow flats along the shoreline on the east end of the lake. Use a jig and minnow or a slow moving artificial. Walleye anglers have caught a few near the outlet on the east end and also by the Marsh inlet by the Ventura grade. Black Crappie – Good: Crappies have been caught in the canals. Use small ice jigs under a bobber or add a split shot or two and vertical jig near structure. Check out the edges or inside the rushes around the lake as crappies will likely be found near them as well. White Bass – Fair: Anglers have had some occasional good days in the past weeks for white bass near the Ventura grade. Black Crappie – Slow: The bite has slowed after the cold snap. Look for fishing to pick up as the water temperatures increase. Anglers are still catching a couple of crappies at Templar Lagoon and Buffalo. Use small tubes or a minnow under a slip bobber. Smallmouth Bass – Fair: Anglers have started to pick up some smallmouth bass on the rock piles. Use tubes or jerk baits. Yellow Bass – Fair: Anglers have been picking up a few yellow bass in the evenings on Jingles point. Walleye – Fair: The walleye bite has been picking up with the warming water temperatures. The north bridge, the island, and the east shoreline have been producing fish in the evening. Jigs tipped with minnows fished slowly works best. Bluegill – Good: Anglers have been picking up a few nice bluegills on the trestle and in Triboji. Use small tungsten jigs tipped with maggots. Black Crappie – Fair: The crappie bite has picked up in Triboji. Small minnows or mini jigs worked well the past week. Walleye season is closed on Big Spirit, West and East lakes. Lillian Hattie Elsing Nebelsick Frey passed peacefully into eternal life, on November 25, 2015, at Country View Manor, Sibley, Iowa. Family and friends will memorialize her earthly life in the spring, Lillian’s favorite season of renewal & rebirth. Memorial service will be on Saturday, April 9, 2016, 10 AM family gathering, 11:00 AM services, at Jurrens Funeral Home in Sibley, Iowa. An Ocheyedan woman struck a deer on Wednesday, March 30th. The Osceola County Sheriff’s Office reports that at about 8:05 pm on Wednesday, 57-year-old Roxann Mielke Leckband of Ocheyedan was driving a 2006 Ford Explorer southbound on Tanager Avenue. According to the report, Leckband struck a deer in the roadway. The Ford received $2500 damage. 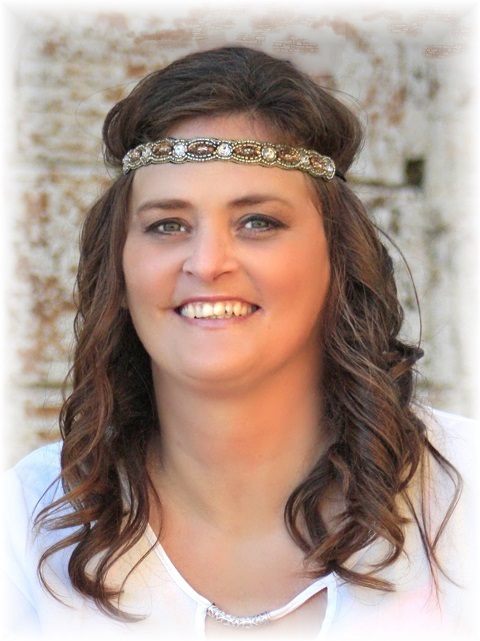 Mindy Witham, age 38 of Melvin, IA, passed away at her home in Melvin on Monday, March 28, 2016. A funeral service will be held on Saturday, April 2nd at 10:30 a.m. at the First Presbyterian Church in Sibley, IA. Visitation will also be held at the Presbyterian church in Sibley on Friday, April 1st from 4:00 p.m. until 7:00 p.m. with the family present at that time. There will be a Celebration of Life Service following the visitation beginning at 7:00 p.m. Burial will take place at Baker Township Cemetery near Melvin, IA. The Sanborn Funeral Home is in charge of the arrangements for 38 year-old Mindy Witham of Melvin, IA. Donna Tiedemann, age 74 of May City, IA, passed away at Lakes Regional Healthcare in Spirit Lake, IA on Monday, March 28, 2016. Funeral services will be held Friday, April 1, 2016 at 10:30 a.m. at St. John’s Lutheran Church in May City. Visitation will be held Thursday, March 31st from 2:00 p.m. until 7:00 p.m. at the Hartley Funeral Home in Hartley with the family present from 5:00 p.m. to 7:00 p.m. Thursday evening. Burial will be held at Harrison Township Cemetery near May City. 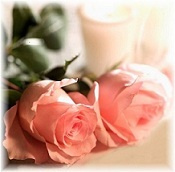 The Hartley Funeral Home is in charge of the arrangements for 74 year-old Donna Tiedemann of May City, IA. Northwest Iowa — One of the legislature’s leading gun rights advocates is taking aim at a group called “Iowa Gun Owners”, which is headed by Ocheyedan native Aaron Dorr. The Iowa Legislature has voted this session to legalize firearm suppressors, as well as let landowners carry loaded guns when they drive ATVs and snowmobiles on their property. But both bills were scaled back to win passage. A fundraising email from the Iowa Gun Owners group accuses the “naive…establishment gun lobby” of getting hoodwinked by the “gun grabbers” in the legislature. Representative Matt Windschitl of Missouri Valley — a trained gunsmith — says he wants to set the record straight. Windschitl praises the Iowa Firearms Coalition and the National Rife Association for their work on the bills. Windschitl works in his family’s gun store in Missouri Valley. Iowa Gun Owners touts itself as the only “no compromise” gun group in Iowa and it vows to defeat “anti-gun” legislators this fall. Lawrence Dirks, age 89, of Ocheyedan, Iowa, passed away on Sunday, March 27, 2016 at the Osceola Community Hospital in Sibley, Iowa. Funeral Services will be Thursday, March 31, 2016 at 10:30 A.M. at the United Methodist Church in Ocheyedan. Rev. Shannon Pascual officiating. Burial to follow at the Ocheyedan Township Cemetery in Ocheyedan. Visitation will be Wednesday, March 30, from 2:00 to 8:00 P.M. with the family present from 6:00 to 8:00 P.M. at the Andringa Funeral Chapel in Ocheyedan. The Andringa Funeral Home of Sibley and Ocheyedan in charge of arrangements for Lawrence Dirks.